"Jackaby sighed and drew to a stop as we reached the corner of another cobbled street. He turned and looked at me with pursed lips. Let s see, he said at last. I observed you were recently from the Ukraine. A young domovyk has nestled in the brim of your hat. More recently, you seem to have picked up a Klabautermann, a kind of German kobold attracted to minerals. Most fairy creatures can t touch the stuff. That s probably why your poor domovyk nestled in so deep. " Newly arrived in New Fiddleham, New England, 1892, and in need of a job, Abigail Rook meets R. F. Jackaby, an investigator of the unexplained with a keen eye for the extraordinary--including the ability to see supernatural beings. Abigail has a gift for noticing ordinary but important details, which makes her perfect for the position of Jackaby s assistant. On her first day, Abigail finds herself in the midst of a thrilling case: A serial killer is on the loose. The police are convinced it s an ordinary villain, but Jackaby is certain it s a nonhuman creature, whose existence the police--with the exception of a handsome young detective named Charlie Cane--deny.Doctor Who meets Sherlock in William Ritter s debut novel, which features a detective of the paranormal as seen through the eyes of his adventurous and intelligent assistant in a tale brimming with cheeky humor and a dose of the macabre. 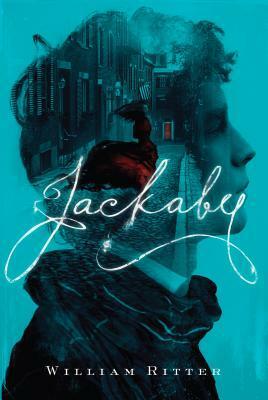 Jackaby right off the bat reminded me of Sherlock and Doctor Who so it’s nice to know that was done on purpose and it wasn’t just me! 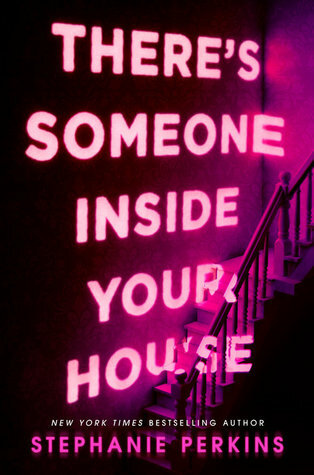 But really this book is like a cocktail filled with elements from Sherlock, Doctor Who and Howl’s Moving Castle and it makes for an abstract, quirky read that is just a little bit different. Our two main characters, Abigail and Jackaby, act as a Sherlock/Watson duo. Abigail, a girl who runs away from her dull life in order to have adventures – a girl after my own heart – ends up as Jackaby’s assistant while he investigates crimes that stand out to him. And this is where it starts to resemble Doctor Who. Abigail is as passionate and intelligent as Rose and Jackaby channels Nine/Ten (sorry guys, we don’t talk about Eleven around these parts) by seeing through the seemingly mundane to the extraordinary underneath. Like the Doctor, Jackaby is not only familiar with fantastical creatures but according to himself, is the only person of his kind in the world. He can ‘see’ these creatures just as well as he can see the normal world and this ability marks him out as an eccentric oddball by most of the people the two come in contact with. Also, ALSO. Jackaby lives, and Abigail later moves in because ~companions~, in the most awesome house since Howl’s Moving Castle. Remember the numerous odd rooms in Howl’s castle? Jackaby’s house is like that except he has resident ghosts who are actual characters and former companions who now exist as ducks. Every room is filled with strange and wonderful items, and there is even a lake in the middle of a hallway. Because duh, the duck has to live somewhere! I enjoyed this book. The premise was interesting enough to draw me in and the plot, revolving a series of murders by something that Jackaby believes is Other, was entertaining. Abigail’s narration was also a good choice, I think, because like the companions in Doctor Who, she is the human element to the story. Her unfamiliarity with Jackaby’s world but thorough excitement for a true adventure at last was fantastic. I also really enjoyed Jackaby’s character – he was strange, blunt and completely serious about the world beyond the human eye. However, I did think this book really needed to be longer. Too much is packed into three hundred odd pages for it to flow coherently and the world the author introduces deserved more exploration. This is a fast paced read but I don’t really think that helps the story; you’re hurtled from one plot point to the next and it almost feels as though the author really wanted to get in as much as possible in a very small number of pages. This is actually the reason I gave Jackaby three stars – there just wasn’t enough world building for a story that incorporated such unique elements. I really, really love the cover for this one! Just beautiful.